Pete: All right. Let’s go into our next segment. Ladies and gentlemen, we’re proud to have a new segment and we’re featuring leadership lessons which Coach Larry and we’re proud to have Larry O’Brien on us. Larry is the chief learning officer with Mendoza & O’Brien. Larry, tell us a little bit about yourself please, sir. Larry: Pete and Arren, thanks so much for this opportunity. Yeah, I’m the chief learning officer for Mendoza & O’Brien leadership development. We’re a global organization focusing on helping managers become great leaders. We do a lot of teaching on skill building, self-awareness, having that leadership mindset and we also focus on executive coaching so our coaches work one on one with leaders to help them get into that next level. Pete: Right. Larry, I happen to know a thing or two about you. I know your career spans 20 plus years as an executive coach, as a leader, developing effective management leadership programs. That’s why I have you on here you know the show is all about giving career advice to people and I think you’re a special guy and I think you have some special advice to people. Each week, you’re gonna come on and you’re gonna give some leadership advice to help managers become more effective leaders and we appreciate that. Larry: I thank you for the opportunity. This really has been my life. Over 20 years working in Fortune 50 companies and businesses, working with leaders one on one and in the group setting, doing workshops and really helping people become the best, the best leaders that they possibly can be, so I’m really excited for this opportunity to work with you all and the great people, and your listening audience. Pete: Yeah. We really appreciate you being here. First of, Larry, give us a good leadership coaching lesson right now. What’s a good tip? Larry: Well, fantastic. I know you’ve been talking about big data and when I think of big data, I was thinking about this study from MIT and they did a study, what’s the most important leadership skills were for leaders? What came out on top was to know yourself called, to have that self-awareness, know your tendencies, your strengths, your weaknesses and that came out above any other skill. Let me ask you a question, Pete. You don’t have to answer this. Larry: Pete, did you notice that the more you got promoted, the better your ideas became? Maybe your jokes got even funnier. Maybe you even lost your weight, some weight rather but did you change? No. Larry: Go ahead. Maybe in your case, you changed but the reality is that people feel uncomfortable giving leaders feedback and the higher we go in an organization, the less we know. It’s how do we get that self-awareness or that big data on ourselves as leaders when people are reluctant to give it and exactly the time when we need it most. Pete: What I found, if I may share and tell me if this relates because I have … I’ve been a leader of leaders for many years. As a chief operating officer, I have multiple regional vice presidents that have multiple branch managers, et cetera, reporting to them and I have found that so many people are so remarkably unaware of how they’re perceived by not only their subordinate employees but managing up and sideways as well laterally. People are unaware that their actions create these perceptions. I’m telling you it’s amazing that you’re saying this because … I mean, you must have to take people really on a journey of self-awareness, right? Larry: Absolutely. Sometimes, it’s about getting in their heads a little bit. Why is it that they don’t ask for that feedback? Sometimes, they’re afraid to hear what … There maybe something that they’re afraid to hear so they ask. Sometimes they think it makes them look weak as an example. Really, it’s quite the opposite. I mean, MIT here is telling us the number one thing that you need to do to be successful is be aware, have that emotional intelligence around your strengths and your tendencies. It can be quite a challenge. I have three tips for you as it pertains to getting some feedback.  Pete: I wanna make sure people right now … This is the big thing about this show. If you sit and listen to the show and you get entertained, that’s okay. That’s not such a bad thing but if you listen to this show and you do something differently as a result of the information that we share with you each week, it’s gonna be better for you. Your performance may improve, you’ll be more effective, productive or you’ll avoid a pitfall or some of the failures that myself or some of my guests have had. That’s why we give advice. Larry is about to give three leadership tips right now and I would encourage anybody if you have a paper and a pen next to you, write this down, if you have a phone and you wanna jot down notes to yourself, do it. This is the time where you’re gonna hear something that will help you. Go ahead, Larry. Larry: I’m so glad you mentioned that Pete because some of these things, they’re pretty simple but we don’t implement them in the day to day and that’s the key to success and that’s completely aligned without being the Hard Work-ah, right? It’s not that you know what to do, you just need to do it. Tip number one is to ask for specific feedback. I was coaching someone on self-awareness and she said that’s constantly asking, “How did I do?” All she hears is, “Oh, great job.” That’s not really helpful. Larry: Lesson number two comes from Sheryl Sandberg. She’s a COO of a company called Facebook, if anyone has heard about it. Pete: I think I’ve heard of it. Larry: You heard about it? One thing I learned from her about a leader is that she would not let you leave her office or go away unless you told her something she could improve upon. Now, that’s Sheryl Sandberg, a great leader. No, don’t lock people in the office or in the conference room. You got to be a little firm here. Ask for feedback. Give people some time, be patient but be firm and get that one thing. Have them think about it. Then number three is about how we react to the feedback because you mentioned earlier, Pete about some leaders and their lack of self-awareness. It could be because maybe they get defensive and when you get defensive, when you’re hearing what you might not feel so good then you tend to shut other people down. Larry: One thing I do is if you start feeling defensive when someone is giving you feedback, change that defensiveness, replace that defensiveness with curiosity. A simple knee-jerk reaction I do when I get defensive is, “Tell me more about that,” or ask questions about what does that new behavior look like? What impact might that new behavior have? Then finally thank them for the feedback. Once you thank them, ask them to hold you accountable, so, “Hey, I agree. I’m gonna do better at XYZ. Could you do me a favor? If I show that side of me, again, at that meeting, can you hold me accountable or take me aside or just remind me.” That changes the relationship and people want to help you and they want you to be successful, so you’re engaging them in your own success. Pete: … because she’s gonna ruin everything if she comes out. That’s the way it is, but I can’t do that is what you’re saying so I won’t. Pete: Number three, it’s like you can’t be defensive anytime you ask somebody a question about feedback. What do you think of me? Give me specifics on what I can do? If I defended that for one second, you think I would ever get more feedback? It’s not gonna happen. especially if you react to it in a negative way. This is fantastic, Larry. Each week, we’re gonna have you come on and I really … I know you’re a busy guy and I really appreciate you taking time out and sharing these tips with us and the audience. It’s gonna help us all to be better and more effective leaders. Larry O’Brien. Thank you, Larry. Larry: It’s a pleasure. Thank you.